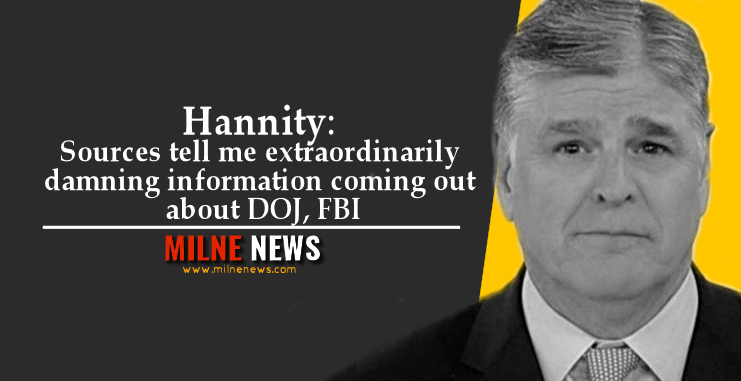 Hannity made the prediction about the so-called “five buckets of information” during an interview with Rep. Mark Meadows, R-N.C., and Harvard Law School Professor Emeritus Alan Dershowitz, bringing up the upcoming criminal referral focusing on the beginnings of the Trump-Russia investigation. Devin Nunes, R-Calif., says he is prepared to submit criminal referrals this week after President Trump said on Wednesday that he plans to release the unredacted FISA warrants made during the early stages of the Russia investigation. Nunes has not yet named anyone who could appear in a referral. Meadows said there needs to be accountability for anyone who violates Americans’ civil liberties.